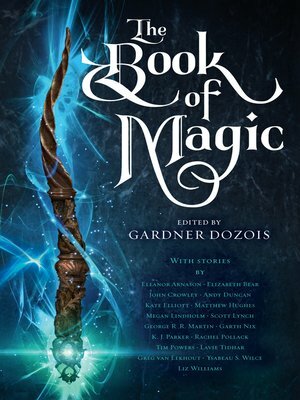 Hot on the heels of Gardner Dozois's acclaimed anthology The Book of Swords comes this companion volume devoted to magic. How could it be otherwise? For every Frodo, there is a Gandalf . . . and a Saruman. For every Dorothy, a Glinda . . . and a Wicked Witch of the West. What would Harry Potter be without Albus Dumbledore . . . and Severus Snape? Figures of wisdom and power, possessing arcane, often forbidden knowledge, wizards and sorcerers are shaped—or misshaped—by the potent magic they seek to wield. Yet though their abilities may be godlike, these men and women remain human—some might say all too human. Such is their curse. And their glory. In these pages, seventeen of today's top fantasy writers—including award-winners Elizabeth Bear, John Crowley, Kate Elliott, K. J. Parker, Tim Powers, and Liz Williams—cast wondrous spells that thrillingly evoke the mysterious, awesome, and at times downright terrifying worlds where magic reigns supreme: worlds as far away as forever, and as near as next door.